Many of us hold back, sometimes unconsciously, on pursuing dreams–because of fear. We sometimes dwell on possible negative outcomes like failure or embarrassment. Seminar students often say, they stay in their “comfort zones” too much because of “what people might think” if they tried something special. They also admit they hesitate when seeking goals outside their comfort zones. When that happens, we need a bigger vision, a “why” to expand thinking, actions, and expectations. When we expand expectations of ourselves, that expanded vision becomes part of our new comfort zone, which our instincts will strive to fulfill. Fear of embarrassment is a self-induced barrier. We sometimes let the fear of what people will think if we fail hold us back. 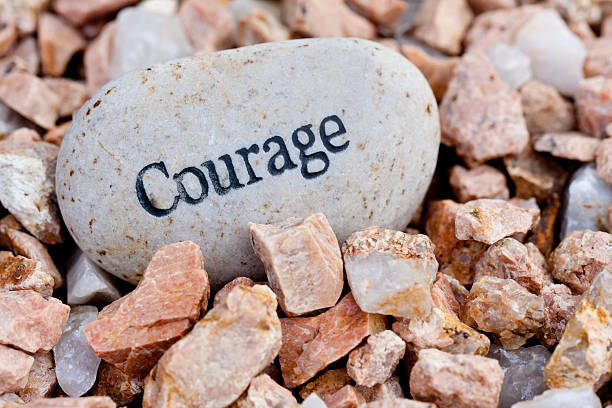 But, the truth often is, they likely admire people more if they see courage to try and persist through adversity. You can turn your fear of failure into character development to have more courage and you can inspire someone who needs to see you persist instead of quit. Consider the people you admire–they likely have tried, failed, and kept trying to fulfill ideas in which they believe, even if others could see their flaws and failures. You likely admire their courage. Success stories usually include recollections of desire and dedication–not successes at goals requiring little effort or risk. Follow the example of those you admire. Allow yourself to try and sometimes fall short as you give yourself more chances to succeed as well as grow capacity in courage and commitment. Just do your best, learn, and improve from failures and successes, and enjoy the freedom that comes with courage.